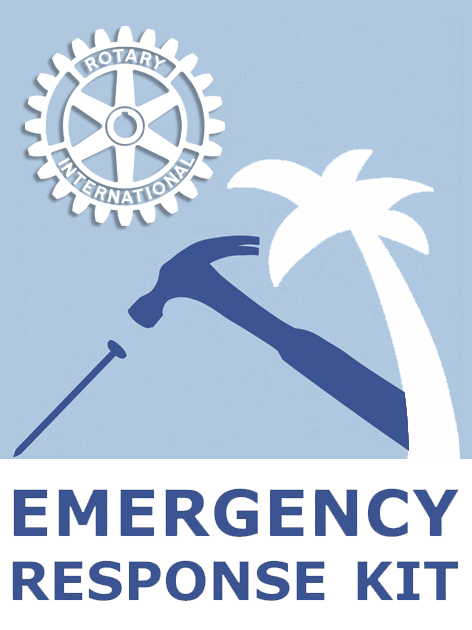 District Governor Graham supports our plea for each club to consider donating to the ERKs project this year if not already done so, and to see Emergency Response Kits as a worthy annual project to receive ongoing support by funding at least one ERK to be assembled and distributed – current cost NZ$600.00 per ERK. 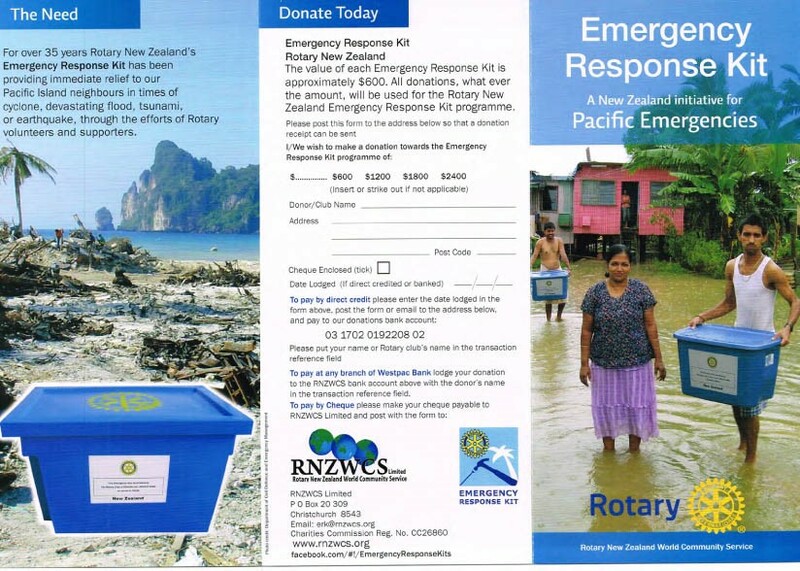 Emergency Response Kits are the only Rotary New Zealand Humanitarian service project responding to disasters in the Pacific, mostly to countries that are a part of New Zealand Rotary. Rotary New Zealand World Community Service Limited manages and coordinates the programme. More than 90% of all donations are spent in New Zealand with a smaller amount in Pacific countries to cover expenses incurred by in-country Rotary Clubs. Rotary New Zealand does not pay any commissions or royalties. ERKs is recognized by Governments throughout the Pacific who waive import duties and taxes, with local Rotary clubs taking responsibility for distribution in consultation with Disaster Management Offices. Consistently Emergency Response Kits are the first tangible support families receive after a disaster. As we enter 2019, the most vulnerable time of threat from cyclones, floods and other natural disasters approaches for many of our Pacific Island neighbours and reinforcing the need to ensure that an adequate stock of ERKs is pre-positioned in the Islands and that sufficient resource is available to restock in an emergency.